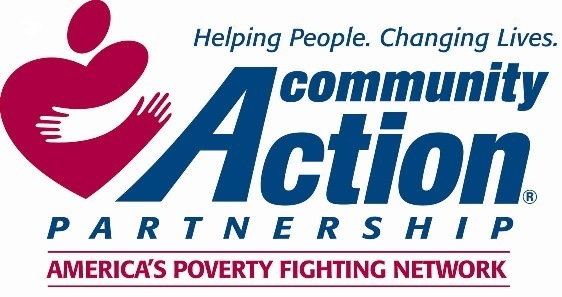 In the United States and its territories, Community Action Agencies (CAA), like Gateway Community Action Partnership, are local private and public non-profit organizations that carry out the Community Action Program (CAP), which was founded by the 1964 Economic Opportunity Act to fight poverty by empowering the poor as part of the War on Poverty. CAAs are intended to promote self-sufficiency, and they depend heavily on volunteer work, especially from the low-income community. The Community Services Block Grant (CSBG) is the agencies' core federal funding. Agencies also operate a variety of grants that come from federal, state and local sources. These grants vary widely among agencies, although most CAAs operate Head Start programs, which focus on early child development. Other programs frequently administered by Community Action Agencies include Low-Income Home Energy Assistance (LIHEAP) utility grants and Weatherization Assistance Program (WAP) funded through theU.S. Department of Energy (DOE). There are currently over 1,000 CAAs, engaged in a broad range of activities; typical activities include promoting citizen participation, providing utility bill assistance and home weatherization for low-income individuals, administration of Head Start pre-school programs, job training, operating food pantries, and coordinating community initiatives. Lyndon B. Johnson's landmark Economic Opportunity Act established Community Action Programs in Title II. A Community Action Program was defined as a program "... which provides services, assistance, and other activities of sufficient scope and size to give promise of progress toward elimination of poverty or a cause or causes of poverty through developing employment opportunities, improving human performance, motivation, and productivity, or bettering the conditions under which people live, learn, and work." Although Johnson and other architects of the legislation expected Community Action Programs and Agencies to be an effective weapon in his so-called "War on Poverty," many of them were riddled with problems. In many cases the poor were unable to effectively control or manage CAPs which ultimately failed. In more extreme instances, local political regimes were threatened by the empowerment of poor political activists with funding and resources from the federal government. One of the most dramatic episodes resulting from these clashes between CAA leaders and local governments occurred when, following cuts in funding for a summer youth CAP, black activist Charles Sizemore and thirty others barged into San Francisco Mayor John Shelley's office demanding resources and threatening that if the CAP was not funded once again, "this goddamn town's gonna blow." However, despite these challenges, many still operate successfully today. For a complete history of Community Action Agencies, click here.